Abdurrahman Balogun, Abuja: Hon. 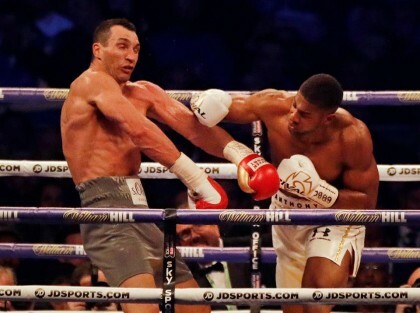 Abike Dabiri-Erewa, Senior Special Assistant to the President on Foreign Affairs and Diaspora has congratulated the Nigerian-born boxer, Anthony Oluwafemi Joshua for defeating Wladimir Klitschko of Ukraine by defending his IBF heavyweight title. Joshua, who was a bricklayer before taking up boxing full-time, excelled at football and athletics and broke the nine year old 100m record with a time of 11.6 seconds.